Bruce Garrabrandt welcomes interviews and speaking engagements. We have changed our shipping charges on our books! When using our shopping cart, we will adjust your shipping charges for books to our new system. 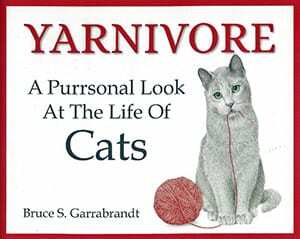 Yarnivore, my latest collection of feline art and text, was inspired by the many cats—past and present—that have entwined themselves in my memory…and in my heart. This playful coffee table book makes a great gift for all the cat lovers in your life! Order your signed copy for just $19.95 (plus $4 shipping—no matter how many books you order). Hardcover, 90 pp. “Come on in,” I tell them. “There’s plenty of room.” For me, any stream of consciousness writing exercise would consist largely of transcribing breakfast cereal jingles from my childhood, dialogue fragments from Marx Brothers movies, and a library of Irving Berlin song lyrics. Someone once said, “If puns are the lowest form of humor, there is no level to which I will not stoop.” That’s true for me, too. I’ve always loved wordplay. I find the more I do it, the easier it comes–and the more people don’t want to be around me anymore. Just ask my wife. You are forewarned. This latest volume contains a plethora of puns designed to make you groan. Abandon all seriousness ye who enter here. Order your signed copy for $36.95 (plus $5. flat-rate shipping–no matter how many books you order). 175pp . Hardcover. Don’t be afraid to order yours today. The Greatest Stories Never Told is Bruce’s third hardcover coffee table book. This latest volume is a “party game” between two covers. Every right hand page contains a short plot summary. You try to guess the title for each story. (Titles are take-offs on famous films, plays, and musicals.) Turn each page to find the answer–in the form of a mock movie poster. This is a great interactive book to share with friends and family! Order your signed copy for $36.95 (plus $5. flat-rate shipping–no matter how many books you order). 164pp . Hardcover. My Name Is On The Deed … But The Cats Own The HouseA hardcover gift book for cat lovers! This 60-page book features a collection of new, whimsical cat drawings combined with playful text. Order your copies today at only $12.95 each. $4 flat rate shipping–no matter how many books you order! 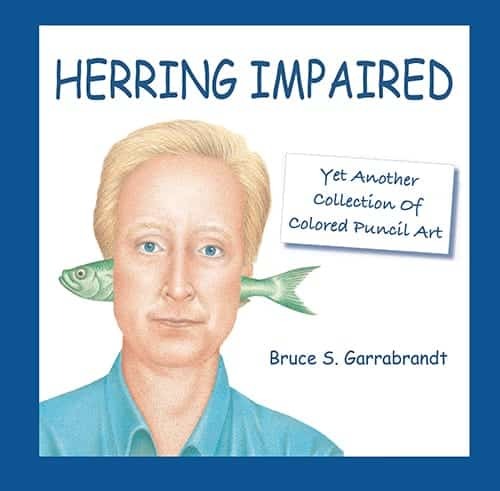 Here is Bruce’s first coffee table book — 15 years of artistic silliness between two covers. Hardcover, 188 pages. Only $54.95 (plus shipping)Order yours today. Give the gift of humor! 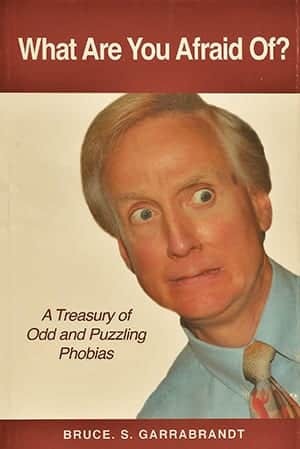 Order your copy for $54.95! Flat rate shipping charge of $9 – no matter how many books you order. The Milky Weigh is Bruce’s second hardcover coffee table book. This latest collection of “random acts of artistic nonsense” features all of the new drawings he has been hard at work producing since the completion of Cattle Drive in 2008.Order your copy for $36.95 (plus $5. flat-rate shipping). 164pp . Hardcover. Looking for a dose of comfort or inspiration to boost your spirits? This book focuses on the character traits needed to meet challenges successfully, to influence others in meaningful ways, and to enjoy a rewarding life. Dedicate yourself, each day, to be your creative best. Know that what you do while waiting for what you want will make all the difference in what you eventually get. $16. Flat rate shipping charge of $4 – no matter how many books you order. An inspirational, keepsake book for people in mid-life and beyond, Make Yourself Ageless offers hundreds of ways to live with greater confidence, meaning, and joy!You need someone in your life who sees what you are capable of becoming, someone who cheers you on to surmount difficulties and get more out of yourself. That someone is you. Now is the time to break from habitual routine. Learn to be more imaginative, productive, and playful. This book will inspire you to savor each moment with gratitude and wonder as you celebrate, for a lifetime, the continual growth of your creative spirit. The Power Of Having Desire guides you to appreciate the miracle of who you really are. Learn why change is so hard for most of us. You’ll be inspired to move beyond your fears and insecurities, to begin living your dreams with confidence. This book offers practical, thought-provoking ideas you can use immediately to take joyful control of your life. Embrace the best within yourself and become a work of art! Order yours today.In teaching myself to draw, I learned the truth about success: You don’t need talent. You’re already gifted — with desire. By committing to your desires and eliminating all the self-imposed obstacles to success, you can realize more of your potential capabilitiesâ€¦and make your life a work of art. The Power Of Having Desire shows you how. Only $12.95. Flate rate shipping charge of $4 – no matter how many books you order. Bruce Is Now On DVD! Introducing Nature With A Twist …In this new DVD program, Bruce combines his whimsical wildlife art with original comic monologues. Listen as he shares formative experiences that shaped him into the fine specimen of a man he is today (pause for laughter). Fifty years of observation, frustration, and confusion packed into one playful program. Learn how to careen into middle-age without serious injury. All of this for just $10 – that’s less than six cents a day! Flat rate shipping charge of $4 – no matter how many DVDs you order. People look at my whimsical drawings and ask, “Are you kept awake at night thinking of these ideas?” Nothing keeps me awake, I tell them. I fall fast asleep moments after getting into bed. And I can sleep through anything: doorbells, ringing phones, gunfire–nothing bothers me. My wife, Jan, is a light sleeper. Anything can wake her up…even the sound of dust falling. It annoys her that I fall asleep instantly. But this is good, because it takes her mind off all the other ways I annoy her. It’s amazing how he can create consistently funny drawings, considering the medication and all. Only after Bruce’s repeated pleadings did I agree to provide an endorsement for his DVD. Frankly, it’s been worth it just to end his incessant whining. People have been known to emigrate to avoid hearing it. Dating Bruce was pivotal in my decision to become a nun. If you think he’s funny, you try living with him. Through an unhappy childhood, lousy high school experiences, difficult college years, a bad marriage, poor career choices, serious injury, and the loss of loved ones, there has been one constant in my life-Bruce Garrabrandt. The guy is an albatross.